This is the most recent pic I have of the project thus far. I’ve actually managed to complete a few additional sections since taking these. Pretty isn’t it? 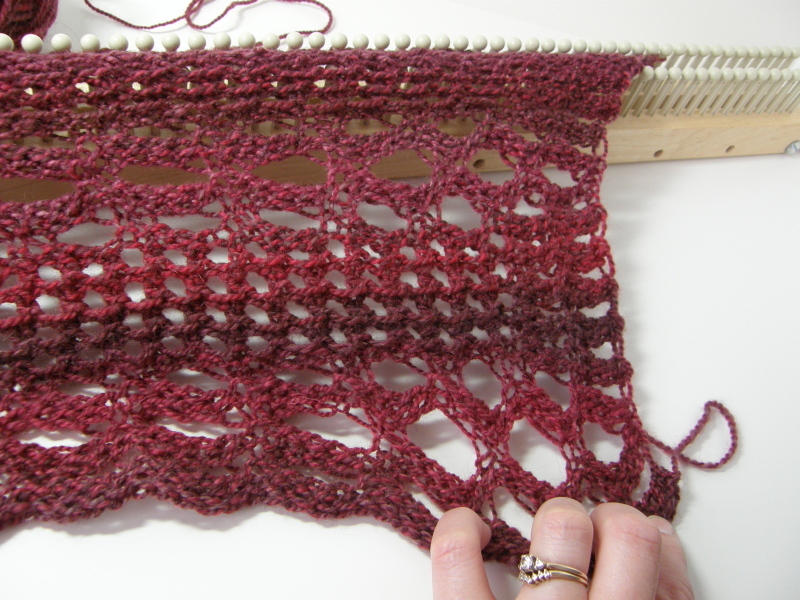 I just love the lacy goodness and the fun of the way the pattern is set up…the whole vive la difference idea that drives the pattern. 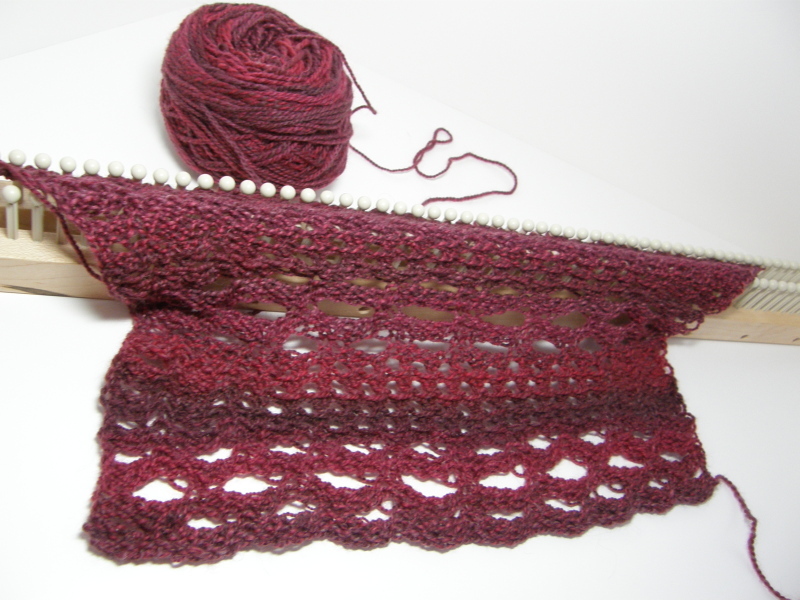 There are three different sections of the scarf and you can choose how you want those sections to be placed…so really there are quite a few possibilities with this baby. So far I’ve decided to alternate between the large eyelets and the main section, choosing to leave out the small eyelets, as I just couldn’t resist the cute bordered area the main section featured. I’m adding extra length to it as well. I’ve always liked a nice long scarf! The other terrifically tantalizing part about this project is that I’m using yarn specially hand spun by my girlie, Emily! 🙂 It’s really looming up very nicely! This is the “Pickin Blackberries” yarn she gifted me for Mother’s Day and I’m completely loving using it. It’s very springy in it’s soft wooliness. I hope your week is turning out full of wonder and smiles! 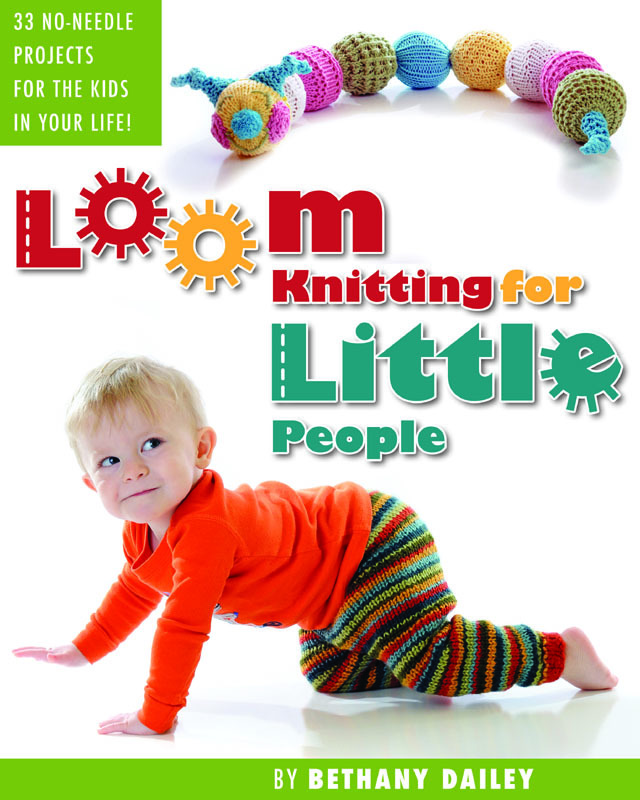 Don’t forget to spread the word about the Kickstarter launch for Loom Knitting for Little People…and pre-order a signed copy of the book, all for your very own…thanks bunches! This entry was posted in Book Progress, Knitting, Loom Alongs, Loom Knitting, Looming Patterns, New Projects, Project Preview. Bookmark the permalink.